There was just too much work to showcase in just one blog entry, so we've spread it out into two posts. Double the fun! 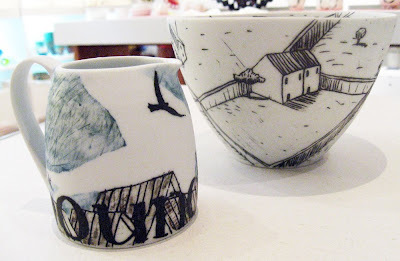 More work from ceramicst Lilach Mileikowski is now in stock. Lilach's ceramic vessels are hand-crafted using throwing and hand building techniques, and fired to stoneware temperature. Each piece is individually developed and glazed according to the desired impression and the work is fired a number of times to reach its full effect. 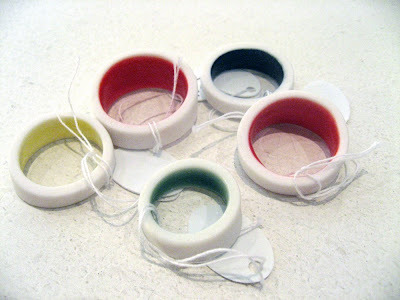 Kris Coad has also delivered matching ceramic rings to his bangles that are already in stock. Snowy white on the outside with a pop of coloured glaze on the inside (black, green, yellow or red), these little sweethearts are too pretty to pass up. 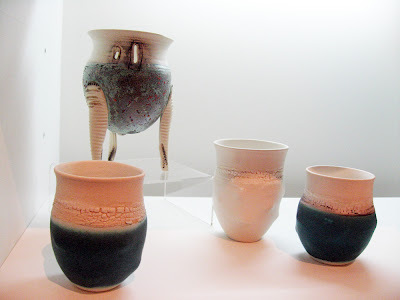 Good things come in threes so here is some new work by fellow ceramacist Marianne Huhn. A bowl for perfect for serving cereal or a generous serve of pudding, a dainty milk jug and a pair of cute mugs arrived just the other day. 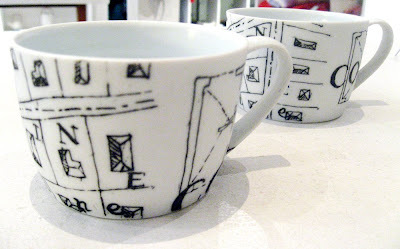 The house print on the bowl is particularly divine - and a favourite of Ms. Huhn's! 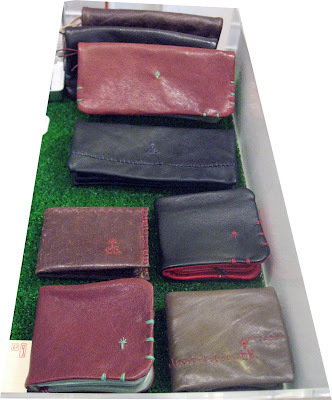 We've also got a new range of leather wallets from Melbourne label 'te.' which means hand in Japanese. All te. products are hand stitched using sturdy waxed linen threads that perfectly complement the soft leather used to make the wallets. And last but not least, the always-charming Fliss Dodd has dropped off a couple of penguins from her Udder Toys range. If you missed out on Fliss' sold out enCOUNTER show, here's your chance to own one (or two!) of these.